“Visualizing Earth Systems,” this year’s theme for Wyoming Earth Science Week, Oct. 10-16, explores what it means to see our planet through eyes informed by the geosciences. In celebration of Earth science, the Wyoming State Geological Survey (WSGS) has partnered with the University of Wyoming Geological Museum, entities across campus and the Albany County community for “Passport Earth,” a weeklong program with 12 tour stops designed for the public to experience science through the eyes of some of Wyoming’s famous scientists. Participants are eligible for a host of prizes, including a “fossil-hunting” paleontology field trip. A “Passport Earth” kick-off event is scheduled for 10 a.m., Saturday, Oct. 10th at UW’s Geological Museum. The public can tour a wide variety of Earth science displays and interactive tables, while enjoying refreshments. Kids can pick up their passport at the opening event or during the week at participating locations. 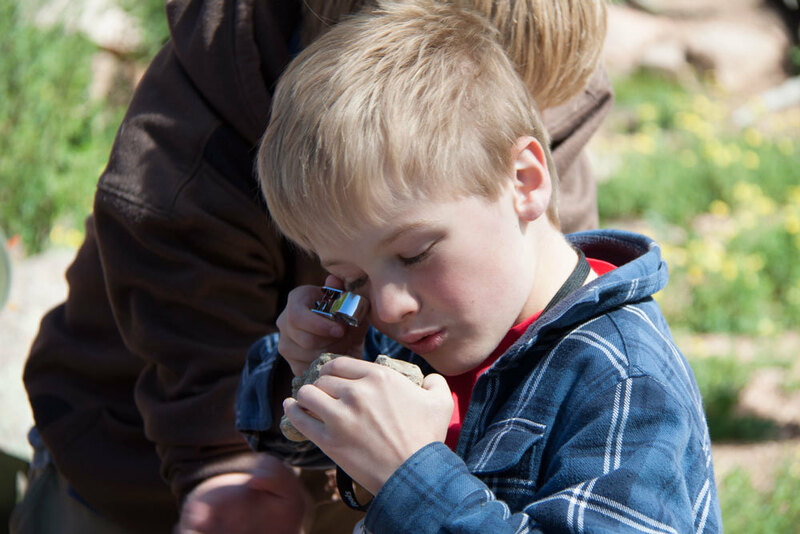 Earth Science Week will feature scheduled showings and science displays, many highlighting Wyoming scientists, with all locations offering a unique Passport Earth stamp for the contest and prizes. 3. University of Wyoming Libraries – Emmett D. Chisum Special Collections, located on the 3d floor, W.R. Coe Library, includes the Hebard Collection, which is the most comprehensive collection of published materials on Wyoming. UW history, biographical materials, maps and guides for all disciplines are available to researchers of all ages. Charles Whitney Gilmore, UW alum and a renowned American paleontologist, will be highlighted in the exhibit cases on the 3d floor. 9. UW Harry C. Vaughan Planetarium – Show times: 11 a.m. and 2 p.m., Saturday, Oct. 10; 10 a.m., Monday, Oct. 12; 7 p.m., Wednesday, Oct. 14; 10 a.m., Friday, Oct. 16. 11. *The Albany County Public Library – Honoring J.D. and Jane Love for their major scientific contributions to Wyoming geology. An exhibit of their published works, geology field tools, notes and historic photos, in collaboration with the WGGS, as well as other library science displays. 12. Railroad Heritage Park – The 1950s-era replica Snow Train, an engineering feat. The massive blade on the front of the plow car was constructed at a 23-degree angle to cut through the snow. The wedge plow was designed to blast the snow out of the way while the Snow Train traveled at high speeds through snowdrifts. Train experts, tours, and Passport stamps offered from 10 a.m. to 2 p.m., Saturday, Oct. 10. *Locations for turning in completed passports by Friday, Oct. 16 for free gift and drawings for special prizes. Winners who have all 12 stamps will receive a special gift from the Wyoming State Geological Survey. They will also be eligible for prize drawings for a UW Geological Museum-sponsored paleontological field trip and a drawing for a large grand-prize gift basket, thanks to the sponsors of Earth Science Week. The 2015 Earth Science toolkit, created by the American Geosciences Institute, is full of visualization information and tools. As with past years, the WSGS mailed complimentary toolkits to science classes (junior high schools) across the state. In addition to the toolkits, the WSGS expanded its Earth Science website (grades 4-12) to include a host of information and learning tools on visualizing Earth. “Visualization plays a central role in science and more recently in science education,” says Dr. Laura Vietti, manager of the UW Geological Museum and Collections. “Data visualization takes something complex and makes it simple and easy to understand,” she says. Earth Science Week coincides with National Fossil Day on October 14 and Geologic Map Day on October 16. In 2012, Governor Matt Mead officially Proclaimed Wyoming Earth Science Week as the second week in October.